Learn about Boostablity SEO services for small businesses. Includes info on Boostability, free trials, pricing, customer reviews, and FAQs. Boostability offers various marketing tools including Search Engine Optimization (SEO) services. 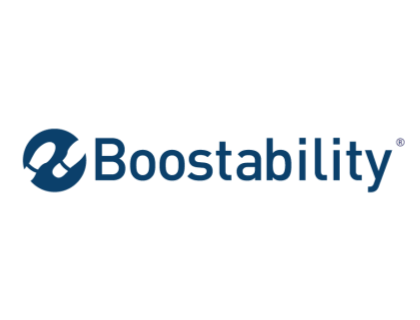 Suitable for various businesses, Boostability actively helps businesses grow a strong online presence and attract potential clients looking for a product or service. Boostability works on a quote-system. Therefore, they do not reveal pricing on their website. For more information on their various packages, visit boostability.com and click on the 'Products' drop-down menu. In the products drop-down menu, click 'Packages & Pricing'. Pros: Affordable product best suited for small businesses. Pleasant customer service. Cons: Staff isn't fully trained to handle various scenarios. Unable to manage big workloads. Bottomline: Cost-effective product with room for improvement. Technical support needs more professional training. However, customer support is fast and responsive. Is there a Boostability free trial? No, Boostability does not offer a free trial. However, interested users can visit boostability.com and receive a free website analysis. What are some Boostability alternatives? Where can I find the Boostability login? Boostability Wins: 2018 Best Work Life Balance. Boostability Releases New SEO and Social Media Reporting Dashboard. My experience with Boostability has been a very positive one. The services they provided for me were a custom built website, social media campaign, and SEO services.The website they built was beautiful, functional, and a huge driver for business. I have been complimented on it several times and people have told me that they felt confident they were doing business with an established professional company just because we had such a professional looking website. AVOID AVOID AVOID, how they work is they pay college kids to make blog posts on irrelevant sites and comment on sites you are mentioned in using the mediocre research into your website. That is it, and since the kids know nothing about your website they are horribly inefficient with the hours they use. I would have to say anyone thinking about looking for some SEO help for their small business should look somewhere else and not waste your money. I thought the work they did was incredibly poor, and in the end probably created more harm than good.